Welcome back 7 Dots Fans. 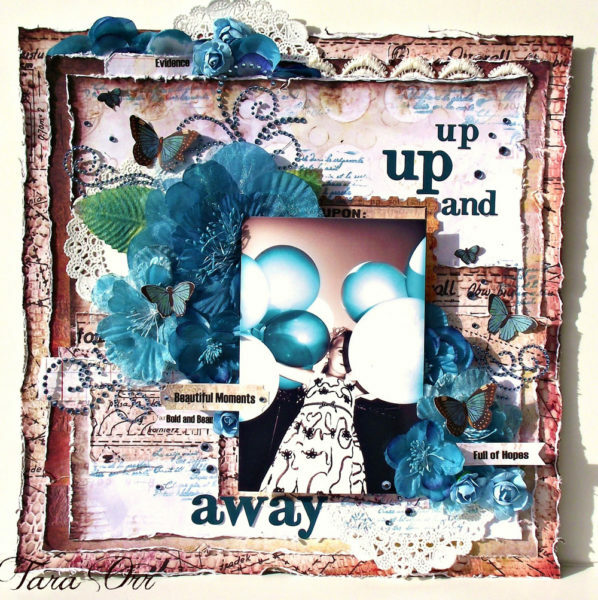 Today we have a trio of layouts to share with you designed by our very own Tara Orr. 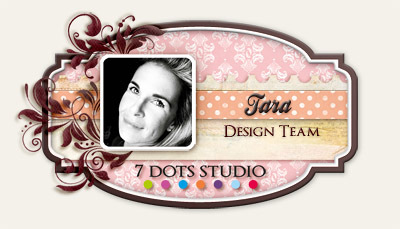 Here is what Tara had to say about her projects. 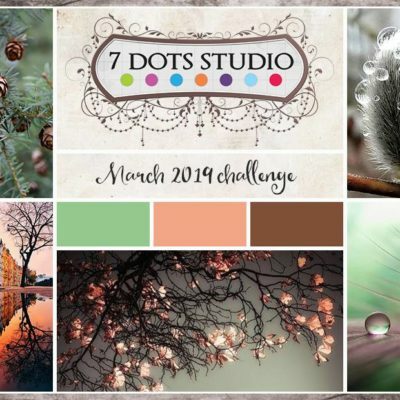 I decided to create a layout with a very monochromatic colour scheme so that my photo stood out front and centre. 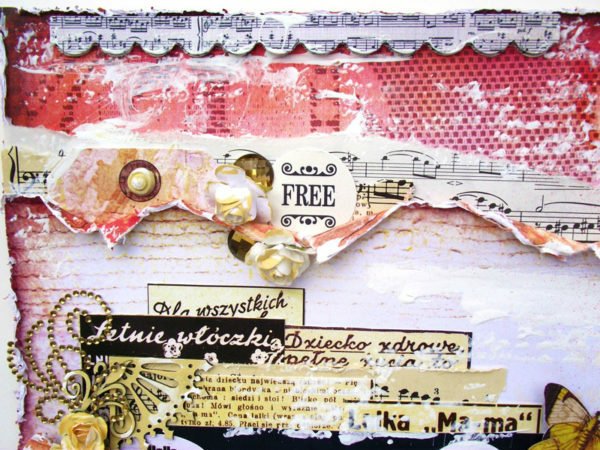 Initially, my embellishments were very ‘matchy-match’ – pale taupes and browns, mixed with whites and creams – and got a little lost within the project. After hilighting my flowers with a mist in the same bold, blue colour as in my photo, the effect was amazing! Normally I am a little hesitant working with very bold, ‘in your face’ colours but trying something like this was so liberating. 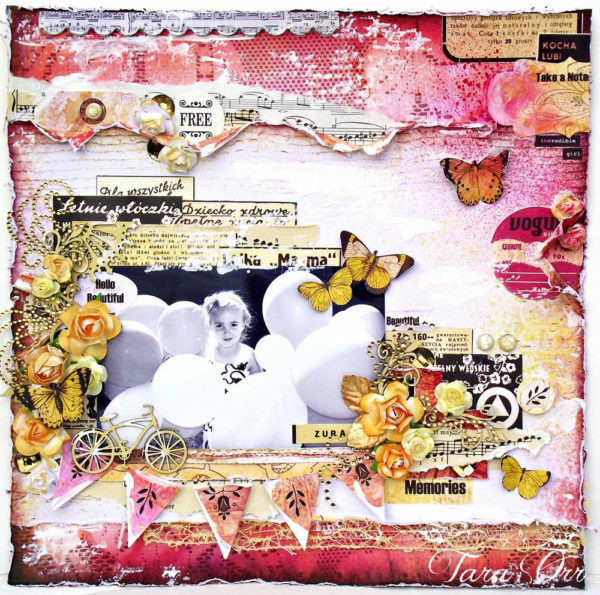 Next up is a beautiful layout overflowing with colours and layers of beautiful papers from our Domestic Goddess collection. 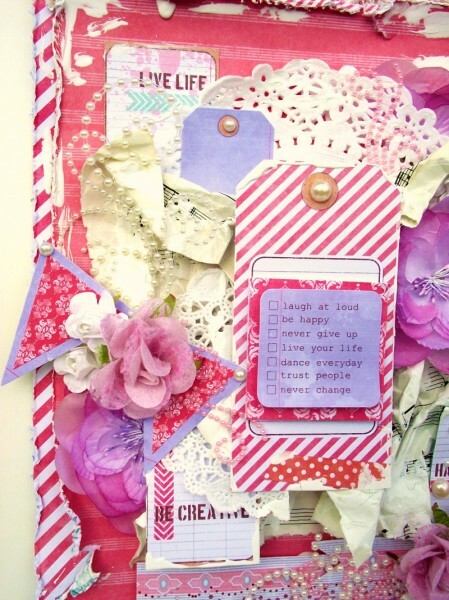 I created a layout with a bright and colourful colour scheme that invites you in. When working with a neutral photo (black and white) it is so easy to add colour to your projects. 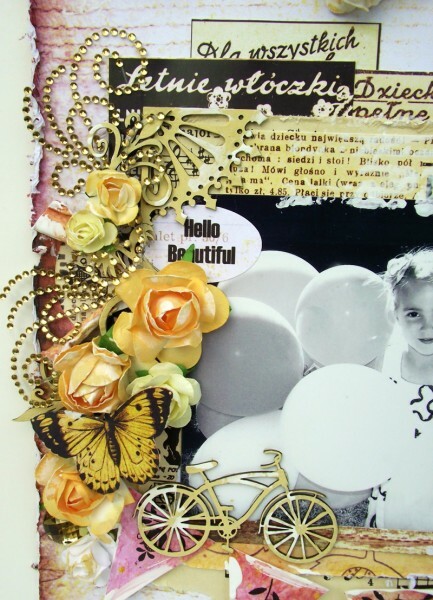 Here I’ve added bold yellows paired with deep, beautiful pinks. The black accents throughout the project help to tie in the various elements and embellishments within the layout. 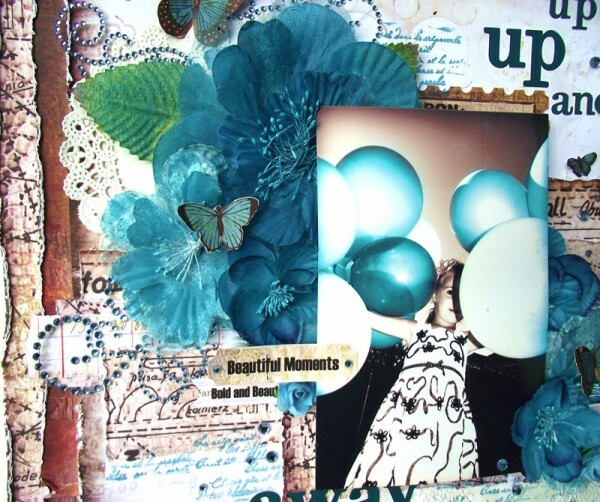 Adding lots of layers and textures to your projects also adds to the overall deapth and richness of your layouts. 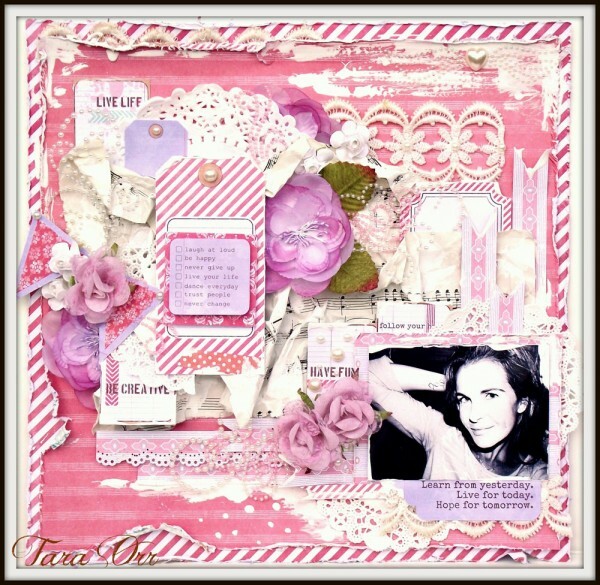 Finally, here is a classic, shabby chic layout that Tara is so well known for creating. 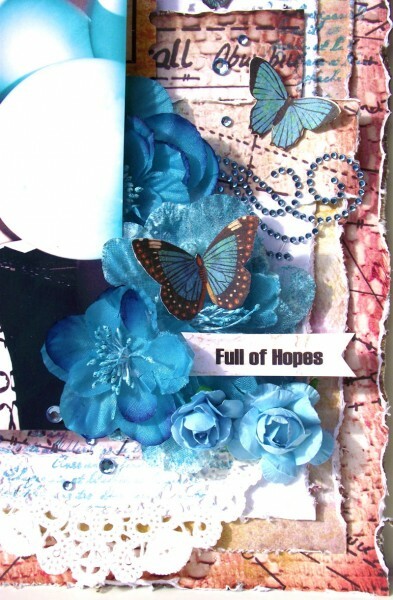 I am simply in love with the softness of the papers found in the Hopefully Collection. 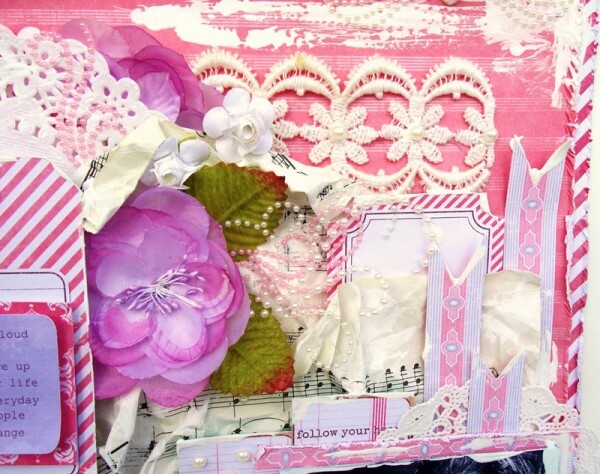 They are so easy to work with and so easy to incorporate all my shabby chic style within. Thank you once again for joining us today. Wishing you a happy, crafty week ahead! !